Bodybuilding is a form of body modification which involves intensive muscle hypertrophy. A person who engages in this activity is referred to as a bodybuilder. 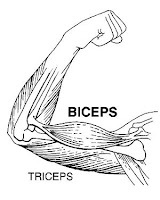 Biceps are one of the muscles for bending the elbow, and therefore a determinant of strength for lifting. Biceps are distinct and visible muscle, especially when well-built and developed, it is often displayed as the Perfect example of body-building and it is a best health advice too. Everyone desires for an impressive pair of strong, muscular arms with tall and peaking biceps which sit on top of rock-hard, horse-shoe-shaped triceps. a) The Standing Bar exercise: You have to stand with yours legs wide apart and grasp the bar with an underarm grip. Curl up the bar slowly and focus on biceps contraction. The elbows should be kept at the side of your body and you should not pivot them. At all the times, your wrist should be in straight neutral position. b) The Incline Dumbbell Curl exercise: You have to sit back on an incline bench. Pick the dumbbells in each hand. Curl the weights upward and move them towards your shoulders. You have to squeeze your biceps hard at the upper position. Then slowly lower the weights and repeat the action. c) Preacher Curl exercise: In this exercise you have to sit on a preacher bench. The exercise is similar to Standing Bar except that you have to sit on preacher bench and carry out the exercise. D) Hammer Curl exercise: In this exercise you have to use hammer grip on the dumbbell just like holding a hammer knocking nails. This exercise is similar to Incline Dumbbell except that you have to stand up instead of sitting down. 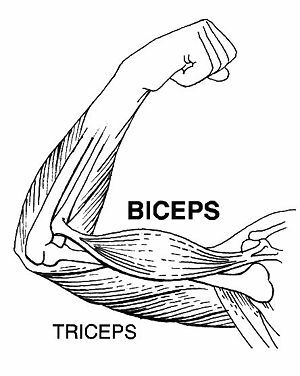 You have to focus on the movement of your biceps during the entire course of the exercise. You should not lift weights that are too heavy. By means of turning and squeezing your biceps, you can build more peaks on your biceps. Also pose and stretch your biceps and change the order of your exercise every few weeks in order to strive your biceps to new growth.